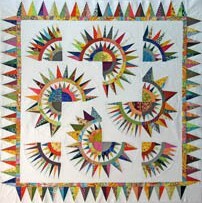 Our BOM programs include patterns/instructions, and all fabric needed to complete quilt top, including border & binding. Backing/batting not included. As an added bonus, we offer online color swatch charts and photos of each monthly block; these are for reference and may be viewed at your convenience or printed as needed. When you register for a BOM program(s), it is understood that you are registering for the entire program and that you agree to participate for the duration. Your first shipment will include the current block + any previously released blocks of your program. We securely store your information, and your monthly blocks are automatically charged (and shipped, if applies). Payment option: you may pay for the program in full at the time of registration with a one-time charge (to include any tax and S&H fees), but please note, you will still only receive one block per month. Most programs have a start-up fee; this fee will sometimes cover your first block, and partial cost of other items such as border or background fabrics, and pattern sets. The start up fee is non-refundable after program begins. For pick up customers: block release is the 1st of each month; your packet will be available at our front desk; if the 1st falls on a Sunday or holiday, your packet will be available the next regular business day. For mail order customers: block release is the 1st business Wednesday of each month. We normally bill your account during the week just prior to your next block release. We ask that you check your blocks monthly as you get them, even if you are not working on the project. If, for some reason, you do not receive your next expected block - please contact us. We cannot be responsible for a missing block if you wait to notify us. Remember to update us with new credit card information if your card has expired, or has been replaced or cancelled. Please be aware that occasionally some fabrics may have to be substituted when we can no longer get original fabrics; we take great care in choosing suitable replacements. It is best to register early to try to avoid replacements. possible cost. Thank you for helping to make this happen! delayed - startup in June! Welcome to Minglewood street! 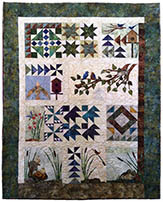 Hearts and tulips, kitties and dogs, blue birds, baskets of love, and home...this quilt is "won't you be my neighbor" and "a few of my favorite things" all rolled up into one! In typical Leslee fashion, the colors and fabrics are sweet and happy, and the project includes both piecing and applique, plus a smidge of hand embroidery. **You will receive this project in sections and will get several blocks in one section; sections will be released every 2 months - therefore 5 sections are spanned over a 10 month term. Skill level = knowledgeable in applique methods and machine piecing. Some fabrics will be slightly different than what is shown here, but we will hold as true as possible to original quilt. Finished size: approx. 57" x 63"
*NOTE: Order form will display total program cost (without shipping & tax); however, only monthly fees + shipping (+ tax where applicable) will be automatically billed to your credit account with each shipment. 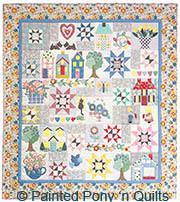 Quilted Village has been "around the block", but is one of those patterns that doesn't go out of style. Join us to build a picturesque scene around the village square. This project will give you a variety of tasks to keep you busy with paper piecing, applique, and hand embellishments using silk ribbon and floss. Skill level = advanced paper piecing, knowledge of applique, piecing, and some hand embroidery. Fabrics will not be the same as pictured, but we will hold as true as possible to this look. Finished size: approx. 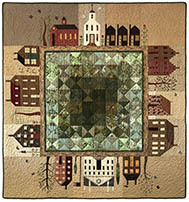 57" x 60"
Deep greens and rusty oranges in plaids and prints make up this sweet autumn wallhanging. Enjoy creating several different block types using large pieces...and you'll be finished in a 6 month period. Skill level = advanced beginner; knowledge of paper piecing method, and piecing. Fabrics will be similar to this picture, but not exact. Take a closer look to view some of our blocks in progress. Finished size: approx. 46" x 49"
Come along, a dog would say, see what fun we'll have this day! 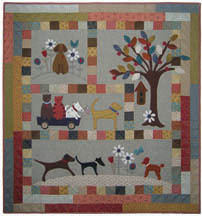 This adorable wallhanging combines fusible appliqué, simple embroidery, piecing and yo-yos. Our project uses wool for the appliqué pieces and cotton fabrics. Finished size: 42" x 46"
This sparkling beauty speaks for itself...and will offer a spectacular focus for your living room or bedroom wall! This fun paper-pieced project will last 13 months...piece 1-2 blocks a month to finish with 16 blocks, and focus on creating the border in final month. 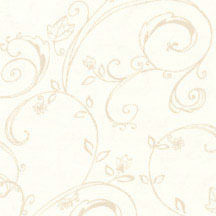 Monthly patterns include foundation papers. This was a popular project years ago, and we've decided to bring it out of hiding for you to enjoy! 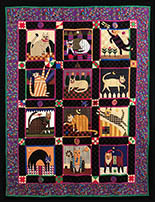 Join us to follow the monthly whimsical antics of the Folk Art Cats! Intermediate skill level. 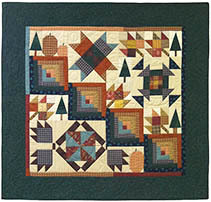 This is a skill-builder and will advance your precision piecing, as well as your machine applique. Fabrics will not be exact as seen here but we will hold as true as possible to colors and prints. Finished size: approx. 65" x 81"
*NOTE: Order form will display total program cost (without shipping & tax); however, only monthly fees + shipping (+ tax where applicable) will be automatically billed to your credit account with each month's shipment. This is a one-of-a-kind series of seasonal projects. 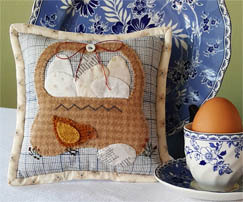 Kits include pattern, fabric, and embellishments, along with a treasured recipe - or feel free to customize your project with your own family recipe. Each project. approx. size: 6 1/2"